Eugene Hart, the Cyclone from North Philly, scored his 21st career knockout on this day in 1972. The victim was Matt Donovan who fell at 2:39 of round number two at the Philadelphia Arena. Hart blasted Donovan with signature left hooks, dropping him twice in the second round. The last time was for the full 10 count - and then some. The win raised Cyclone's record to 22-0 (21 KOs) with 1 No Contest. After scoring his KO, Hart ran his customary victory lap around the ring, a ritual that became as much a trademark as his murderous punches. 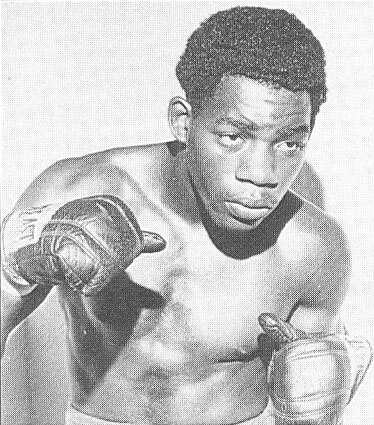 Cyclone Hart is perhaps the greatest pure puncher in Philadelphia boxing history. He hit hard with both hands but was particularly adroit with his Philly left hook. This one-man-wrecking-crew could end any fight with a single swing, and to prove it, he racked up 19 straight KO victims at the start of his pro career. His professional debut came at The Blue Horizon on the first-ever promotion of J Russell Peltz (9/30/69).